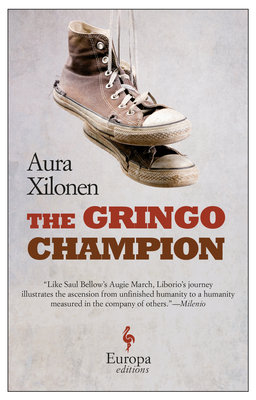 The award-winning debut novel by young Mexican author Aura Xilonen, The Gringo Champion is a thrillingly inventive story about crossing borders that the Los Angeles Review of Books called "one of the must-read books of 2017." As Liborio narrates his memories we discover a childhood scarred by malnutrition and abandonment, an adolescence lived with a sense of having nothing to lose. In his new home, he finds a job at a bookstore. He falls in love with a woman so intensely that his fantasies of her verge on obsession. And, finally, he finds himself on a path that just might save him: he becomes a boxer. This is a migrant's story of deracination, loneliness, fear, and finally, love told in a sparkling, innovative prose. It's Million Dollar Baby meets The Brief Wondrous Life of Oscar Wao, and a story of migration and hope that is as topical as it is timeless. "Its linguistic inventiveness, its joyful storytelling, the beauty of its characters, and its empathy to the experience of economic marginalization and migration make The Gringo Champion, in my view, one of the most significant and worthwhile novels of 21st-century Mexican literature. " "Like Saul Bellow's Augie March, Liborio's journey illustrates the ascension from unfinished humanity to a humanity measured in the company of others."